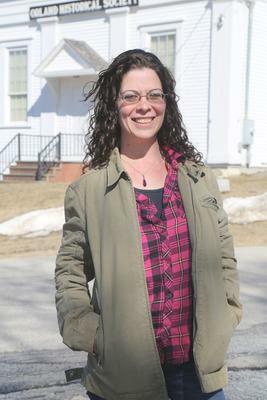 Nathalie Arruda is seeking a place in the Maine State Legislature representing House District 131 (Orland, Dedham, Otis, Penobscot, Verona Island, Prospect and Stockton Springs), the campaign announced recently. The Orland resident is challenging incumbent state Rep. Karl Ward (R-Dedham), who is seeking a third term. Arruda, a 35-year-old mother of three and member of the Hancock County Democratic Committee, says she is looking to improve life for regular Mainers through legislation that benefits working class citizens in her district and throughout Maine. Arruda says she supports the creation of new businesses and tax incentive programs that encourage growth in local industries, but for those businesses to succeed they need qualified workers and communities that are thriving. “We need a community of people with homes and vehicles in good repair, access to nutritious food and affordable healthcare, adequate funding for education, support for children and families, strong civil rights, and upgrades to infrastructure such as roads and broadband internet,” she said. Arruda said perhaps her most important motivation for running for office is to help families like hers thrive in the struggling economy. But supporting families, particularly ones that are struggling, is about more than providing help financially. Arruda says she’d like to see the Legislature make progress in public health, including universal healthcare, addiction treatment, and access to rural health clinics. She also lists funding for infrastructure improvements and sustainable energy initiatives, and helping a new generation of farmers in Maine as key points of interest for her campaign. The Clean Elections candidate says she wants the young people and women of Maine to step into leadership roles in Augusta.